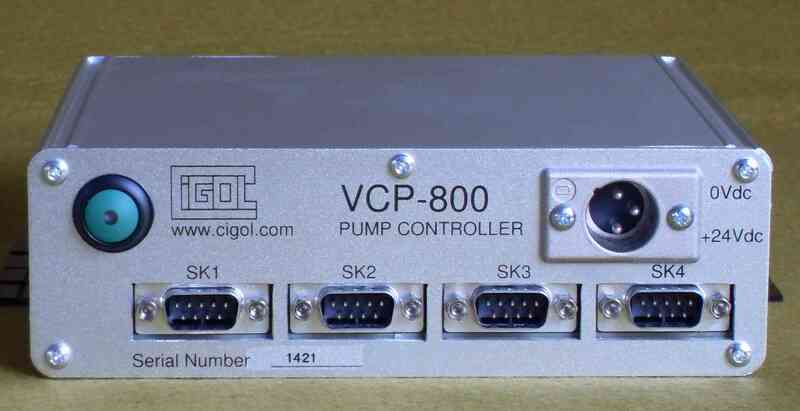 The VCP-800 is the latest design of vacuum pumping station controllers from Cigol Controls Ltd. Including all of the software features of the established VCP-600, VCP-610 and VCP-700, the unit uses the industrial standard range of input and output modules manufactured by Beckhoff This provides flexibility to accommodate larger plant control system requirements and can provide wiring savings by allowing the remote i/o to be positioned close to where it is needed on the plant. The VCP-800 is fully compatible with the Wordentec WAVE control software.